Kubuntu 17.04 has been released on April 13th 2017. 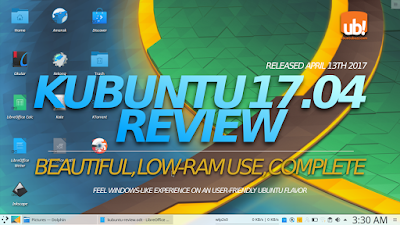 This review introduces some aspects of Kubuntu from it's appearance, memory usage, to default software and customization. It's surprisingly more lightweight in memory use than Ubuntu Unity, with gorgeous and Windows-like look, with complete default applications. This Zesty Zapus release is a good start for any new user to choose Kubuntu as daily OS for personal and collective purposes. Enjoy Kubuntu! Note: this article is a review for Kubuntu 17.04. If this is not what you're looking for, we have complete download links of all 17.04, how to install Ubuntu Zesty, and save bandwidth by using zsync. 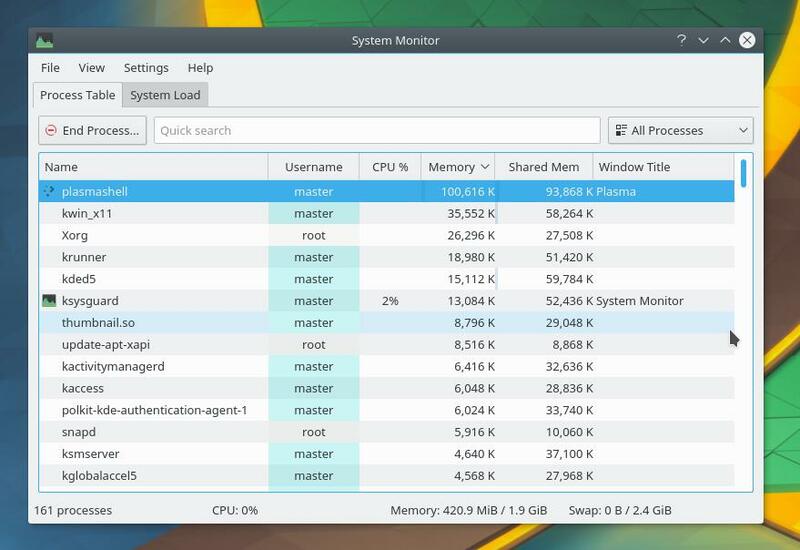 The desktop of Kubuntu 17.04 has traditional layout, closely Windows-like with bottom-left menu, bottom-right tray, and top-right close-max-min buttons. This type of desktop helps end-users adapting from Windows. Look at the bottom panel and icons on wallpaper. You may add shortcut icons as many as you like on desktop (and also on panel) easily. This menu can do search for installed applications, your folders, and you files (yes, with content-based search). What about Super key? Yes, Kubuntu 17.04 supports Super key to open/close the menu by default. Surely this is more Windows-like and favorable for many users. What about hot-corner? It’s still available but now it’s located at top-right corner not top-left anymore. What about desktop effects? It’s activated by default and still configurable from System Settings. 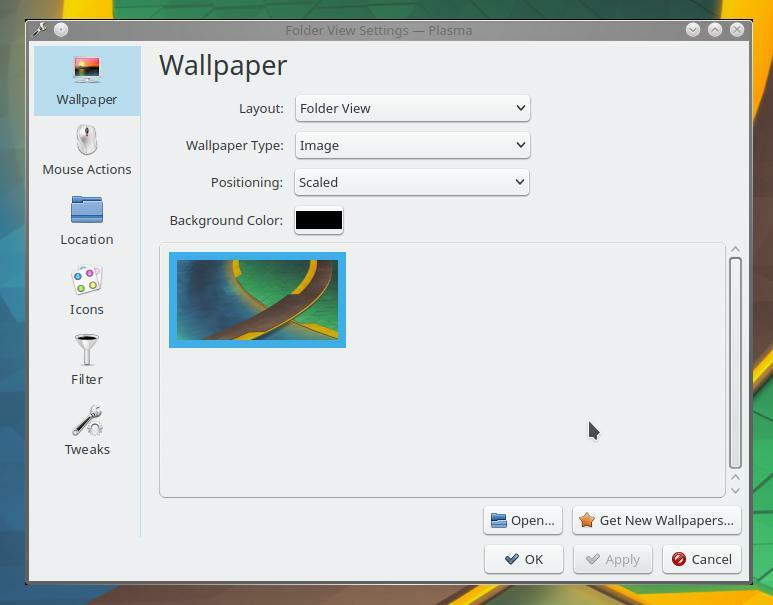 Kubuntu 17.04 did not hold any wallpaper contest so it doesn’t bring any new one this time. But this is the only one wallpaper available. 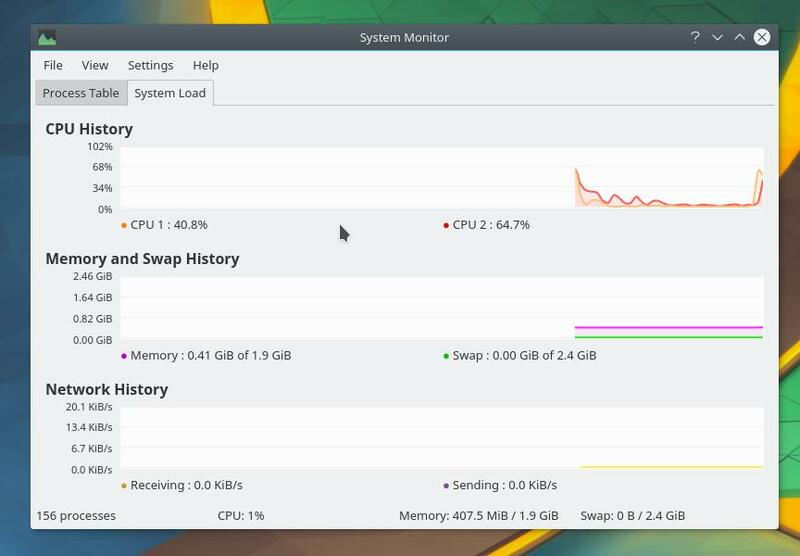 After freshly installed at idle time, Kubuntu 17.04 consumes around 400MB of RAM. It's around 380-400MB of RAM at idle time. From Kubuntu running on my ASUS X44C 2GB, at fresh idle time, the most consuming processes are plasmashell (~100MB) and kwin_X11 (30-100MB). 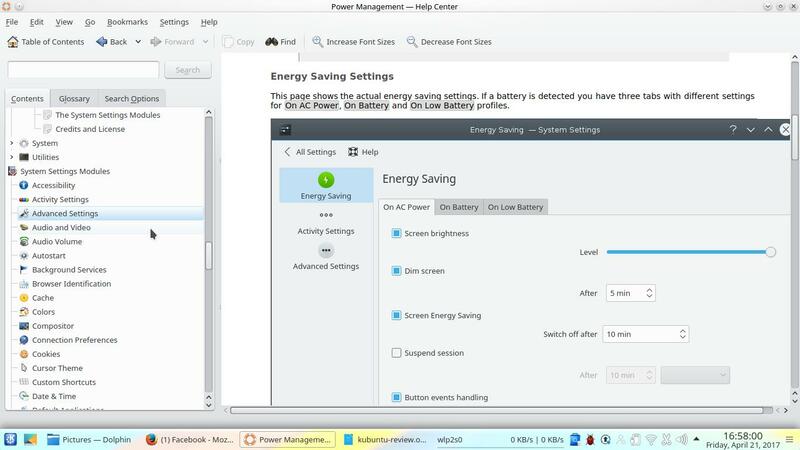 plasmashell is the program that runs the whole desktop, while kwin_x11 --as its name states-- is the drawer of each window frame/decoration, and both of them are part of KDE Plasma. Kubuntu 17.04 ships with complete set of daily applications. From mainstream desktop needs such as LibreOffice and Dolphin, to KDE Telepathy that supports many messaging protocols, until KDE Partition Manager to help you format/resize disk partition. Kubuntu 17.04 uses the same repository as Ubuntu 17.04. So it provides more than 70000 packages you can install anytime. You can search/install software available using Plasma Discover app. 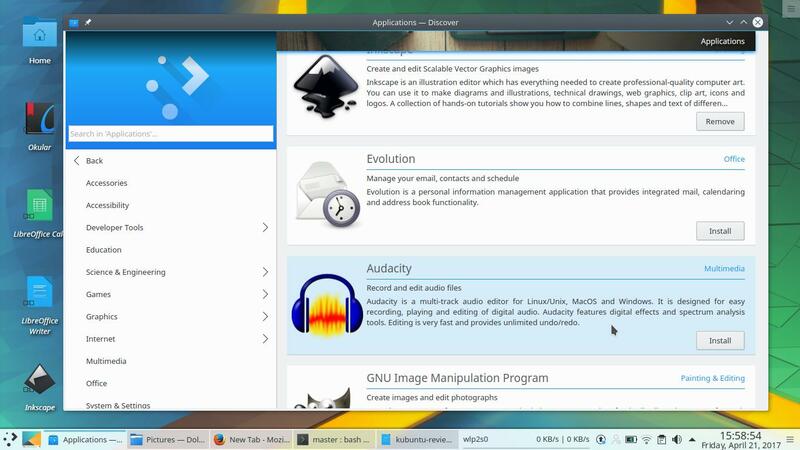 This Discover on Kubuntu holds the same position as Ubuntu Software Center on Ubuntu Unity. 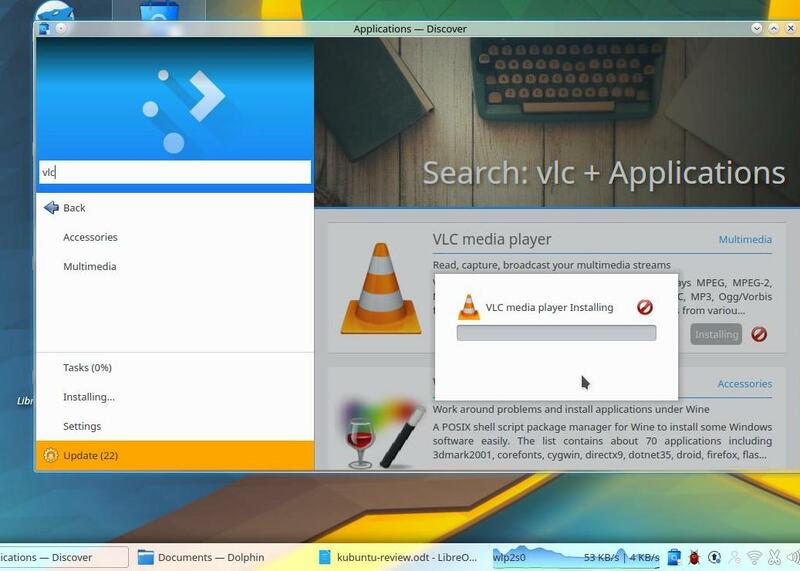 To install software in Kubuntu (for example: VLC Media Player): run Discover first > do a search for “vlc” > then press its Install button > enter your Kubuntu password. Make sure your internet connection is on and let it progressing. Once finished, you can access the installed VLC from menu. This modern method makes software searching and installation easier for end-users. The sources.list content is all the same zesty as any other official flavor. By default, Kubuntu can play OGG, OGV, and WEBM (open formats). 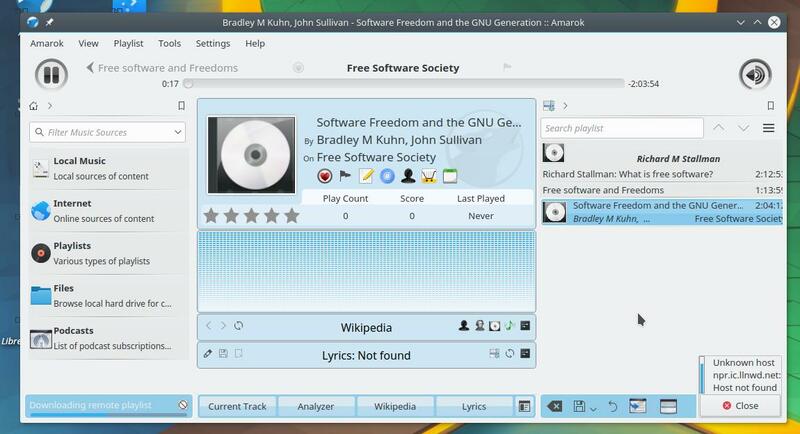 To play MP3 and MP4, Kubuntu needs additional programs to be installed. If you need one, just install VLC. Kubuntu 17.04 ships with offline and online documentations. The offline one is preinstalled, you can access it from menu > Help. In this Help Center you can read every help for every KDE Application, plus command line documentations (UNIX Manual Pages), and also GNU Info (Browse Info Pages). And, the online documentation is available at http://docs.kubuntu.org. 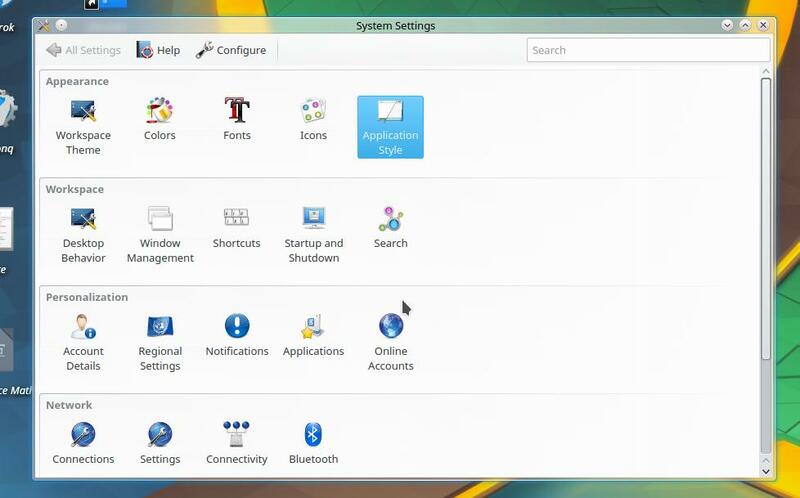 KDE Plasma, the desktop environment Kubuntu uses, is well-known for being the most customizable desktop on GNU/Linux. 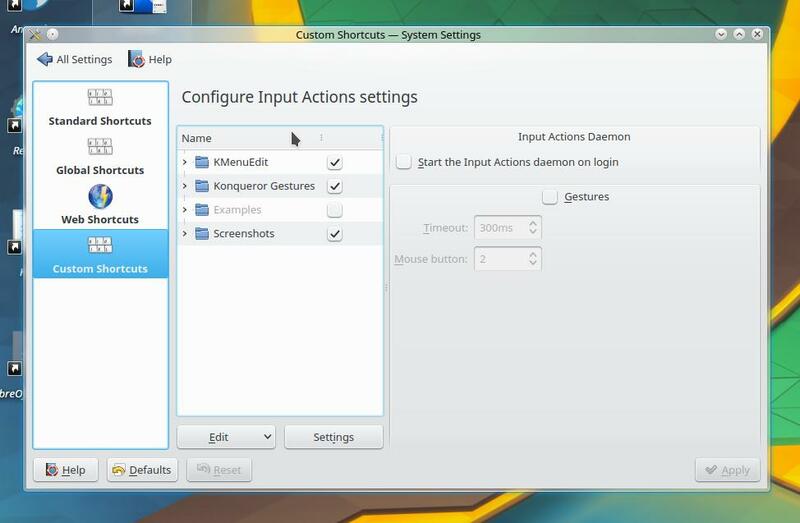 Thanks to KDE System Settings, Kubuntu desktop appearance and behavior can be changed easily by mouse clicks. To change the icon theme, go to Appearance > Icons > select one theme > Apply. To change the window decoration theme, to to Appearance > Application Style > Window Decoration > select one theme > Apply. To change the button style, go to Appearance > Application Style > Widget Style > select one style. 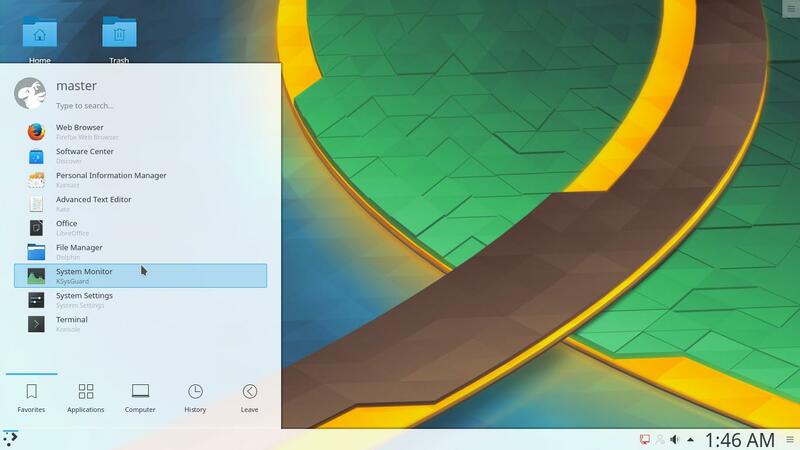 Here I changed the default Plasma 5.9 theme into the old Oxygen theme. In “Window Decoration” section for example, there is a Get new Theme button. 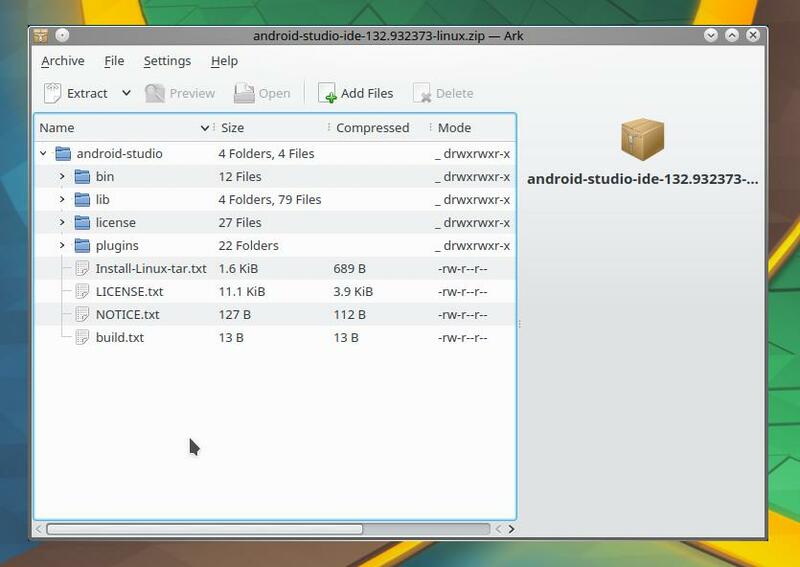 This connects you with the KDE online repository so you can search and install many themes available. You can make any shortcut key as you wish easily using System Settings. Access it from Workspace > Shortcuts > Custom Shortcuts. Mainstream desktop purposes are already fulfilled by Kubuntu 17.04. You find here LibreOffice for your documents, Firefox and KMail for browsing and emailing, Discover to find software, and the full featured file manager Dolphin to handle all your files. Furthermore, here you have the complete & user-friendly System Settings, the ability to compress & extract ZIP/TAR files using Ark, and you have decent disk management tool like KDE Partition Manager. It’s really a complete OS for daily desktop needs. Kubuntu gives you the complete-featured file manager, Dolphin. It has all basic file management features, plus split view (F3) and multitab, support for MTP and tree-view. One of the most awesome feature is built-in terminal (F4) so you don’t need “right-click > Open in Terminal” anymore. 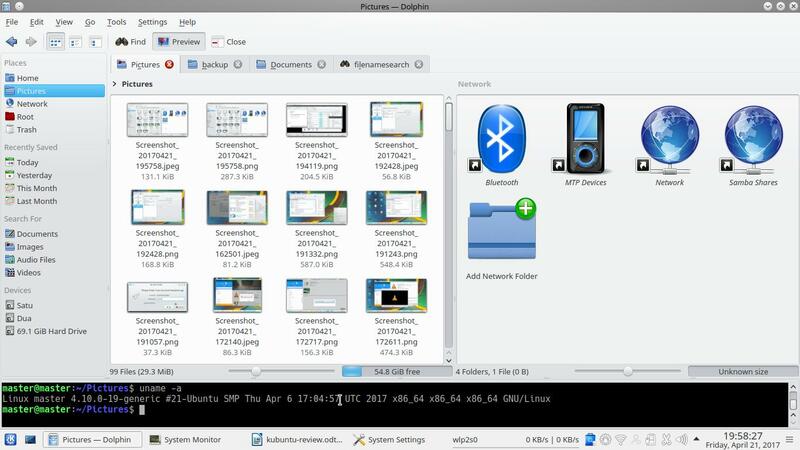 Dolphin is very configurable and flexible, the best file manager you can see on GNU/Linux desktop. This is Ark opening a ZIP file of Android Studio. You can also create ZIP file by right-click > Compress > select ZIP format on Dolphin file manager. Plus, Ark can also open any ISO image file for you. Ubuntu features Transmission, while Kubuntu features KTorrent. This is the gorgeous BitTorrent download manager from KDE. While you need to download any GNU/Linux distro, audio & videos, or another big files via torrent, KTorrent is always ready for you to use. 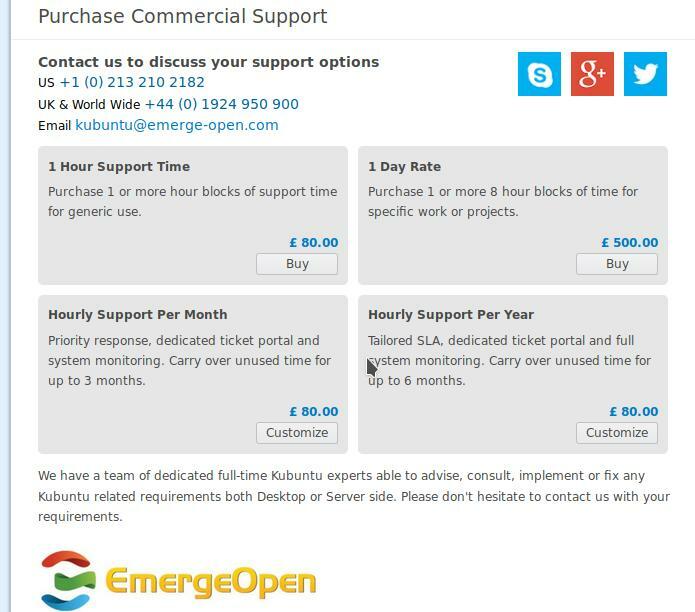 Kubuntu 17.04 offers commercial support via Emerge Open at http://kubuntu.emerge-open.com/buy. They say at the web page “… a team of dedicated full-time Kubuntu experts able to advise, consult, implement or fix any Kubuntu related requirements ...”. 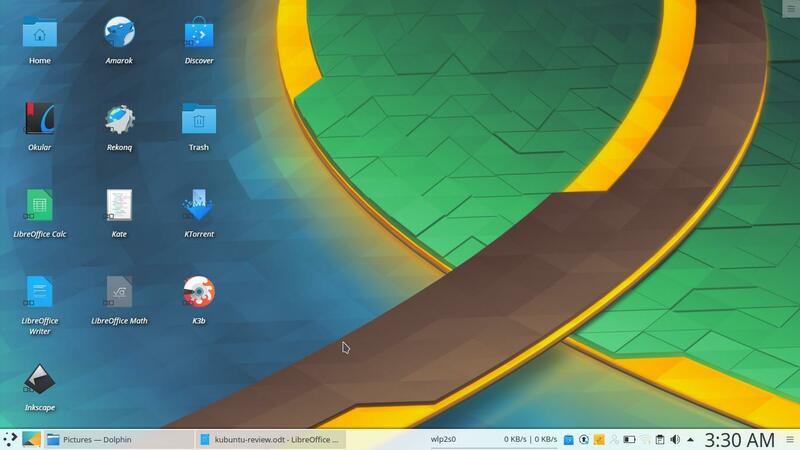 Kubuntu 17.04 is a desktop OS that’s ready for daily use. It has lower idle memory use (400MB) than Ubuntu Unity (1GB) or Ubuntu Budgie (850MB) and offers Windows-like interface & experience, suitable for those migrating from Windows. Its default applications are complete and desktop-oriented, with good support for desktop customization through System Settings. The software installation is pretty easy using Discover, and this will be a new thing to explore for new users. I can recommend Kubuntu for any user using computer with 2GB of RAM or more, but not below. 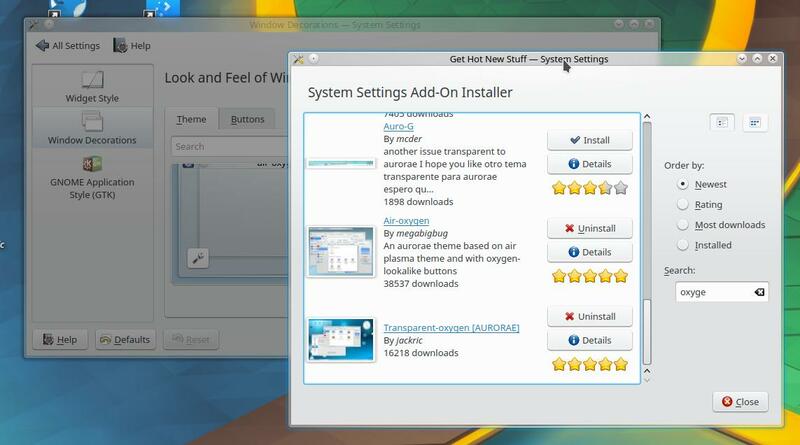 Be happy with Kubuntu Zesty! Disable drop shadow (compositor): go to System Settings > Hardware > Display & Monitor > Compositor > uncheck the “Enabled compositor...” option. This saves your memory usage a lot, especially when you’re using memory-hungry Firefox 52 or above. Disable Akonadi services: run $ akonadictl stop in Konsole. Surely this saves more memory. Fix font appearance: go to System Settings > Appearance > Fonts > change Use anti-aliasing to “Enabled” > click Configure > change Sub-pixel rendering to “RGB” > change Hinting style to “Slight” > OK > relogin. If you’re interested to Kubuntu, you can contribute in many ways. You can donate to Kubuntu, or help coding & packaging, or translating the user interface, all you can learn from this link http://www.kubuntu.org/contribute-to-kubuntu/.